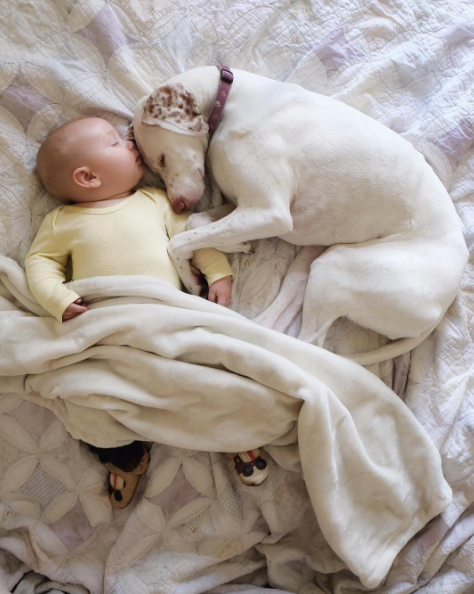 Home » »Unlabelled » This traumatized dog lay down next to the sleeping baby. 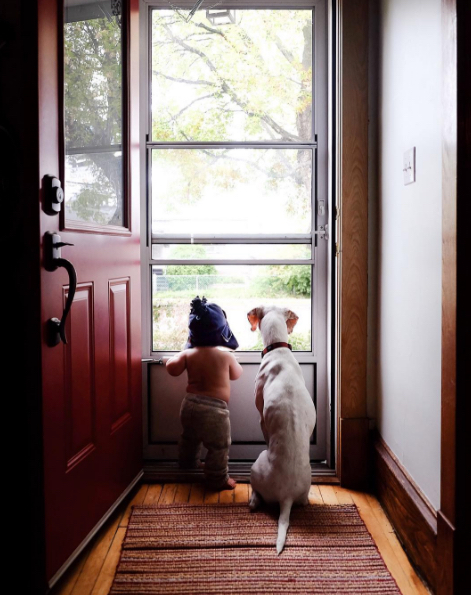 What happened next made the Internet blow up with cuteness. 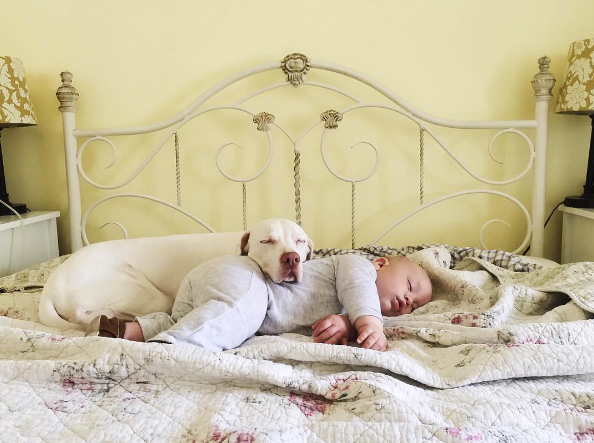 This traumatized dog lay down next to the sleeping baby. What happened next made the Internet blow up with cuteness. Nora, an English pointer, has had a rough life. After she was rescued from owners that seriously abused her, she had a gentle demeanor, but was very scared to be around other human beings.She would move very cautiously and recoil in fear from anything or anyone she didn't recognize. Since being adopted by Elizabeth Spence from Manitoba, Canada, however, Nora has started to build up a little more trust, but she's still a nervous and jumpy dog. The only thing that seems to bring her comfort is the youngest member of the Spence family: baby Archie. When Nora met Archie for the first time, Elizabeth immediately noticed a strong bond between them. 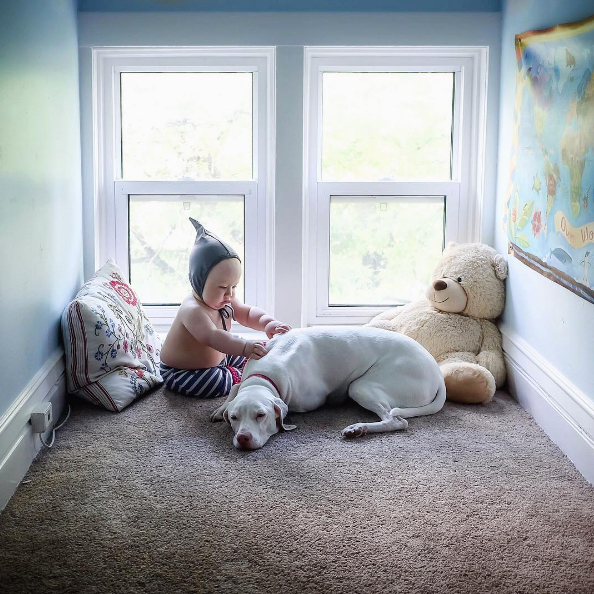 From that very first moment, there was something special between the dog and infant boy. 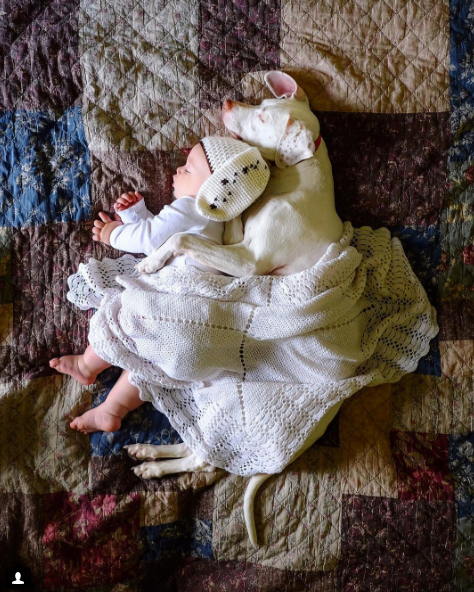 When Elizabeth first found the dog snuggled up next to her napping baby, she ran for her camera and started capturing the touching moment. Over time, she has managed to gather quite a collection of adorable photos. The Spence family has three rescued dogs and three cats, but Nora is most bonded to Archie — and vice versa. 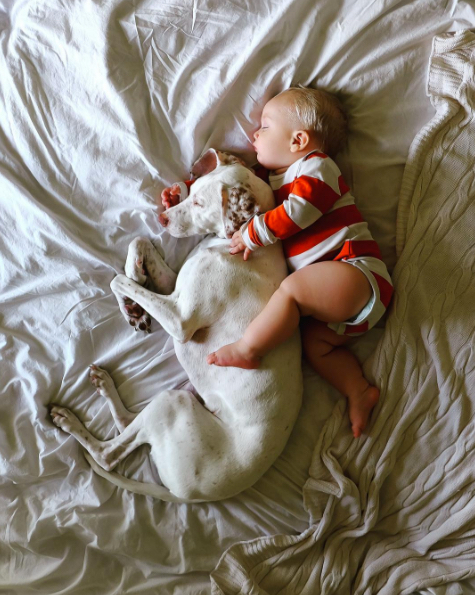 The baby seems to feel as much at home between the dog's four paws as he does in his parents' arms. 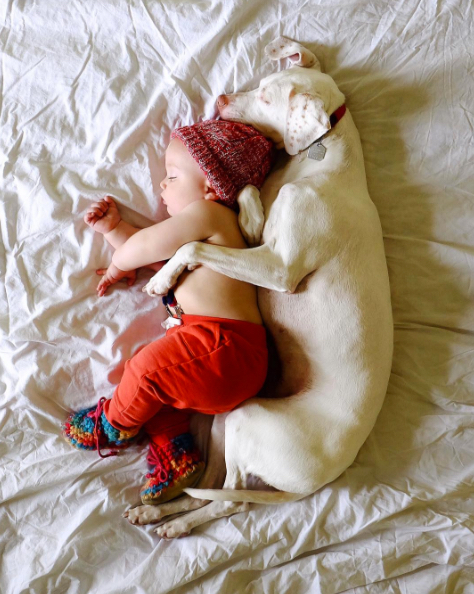 Elizabeth hopes that these sweet photos will raise awareness about how gentle and trustworthy dogs adopted from the pound can be. Even a dog with a traumatic past like Nora can have a soft spot. 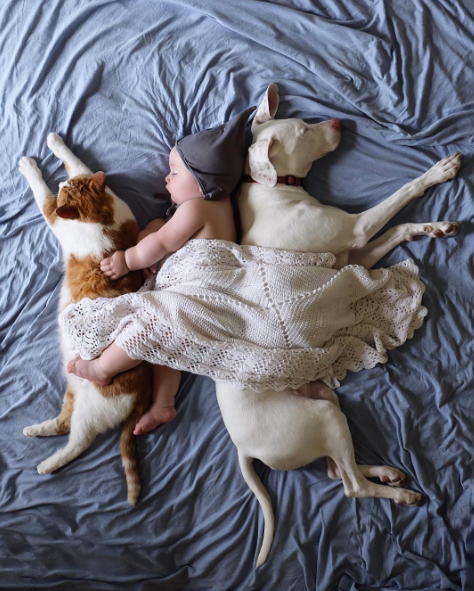 "Some people are hesitant to have dogs like this join their family, but my experience and these photos show that even rescues can be the most gentle and loving dogs imaginable and they really do deserve the chance to be adopted," said Elizabeth. Of course, Elizabeth always keeps an eye on Nora and Archie when they are napping together. But she's not really worried about them. Their combined cuteness seriously makes her heart melt.